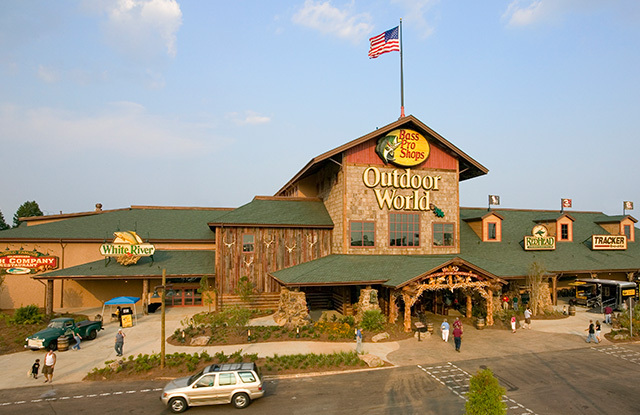 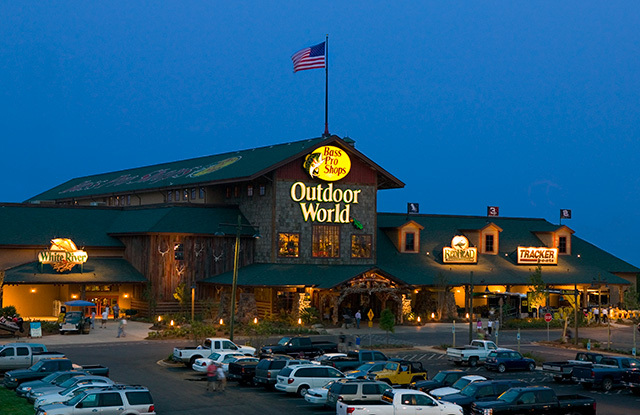 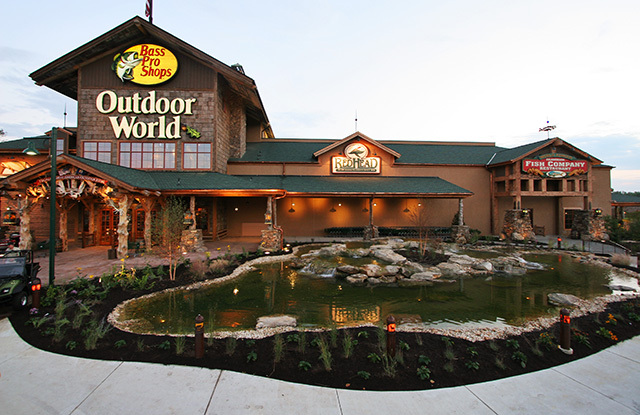 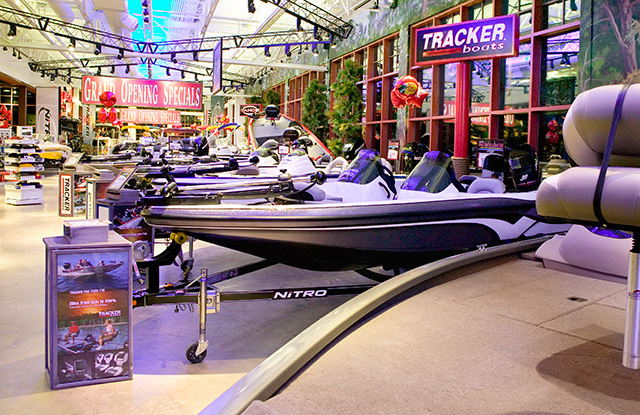 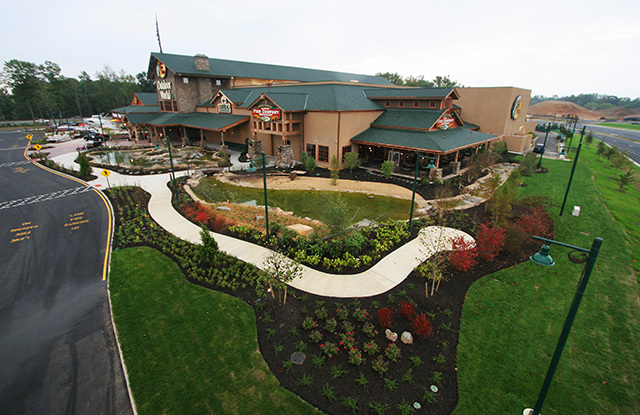 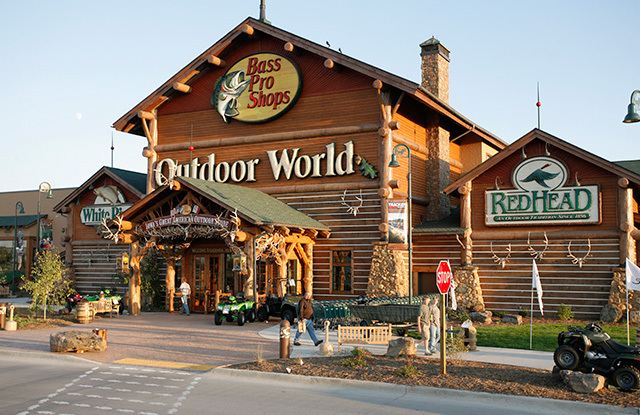 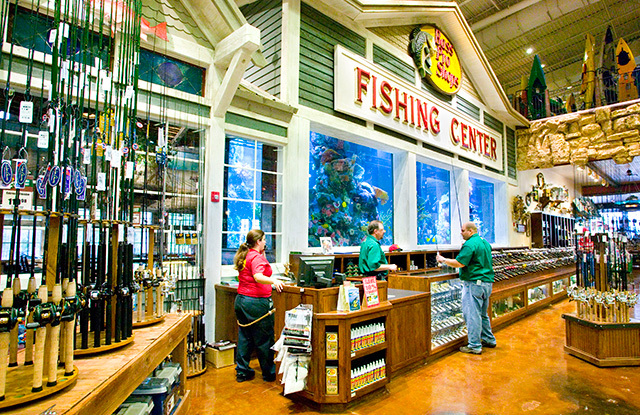 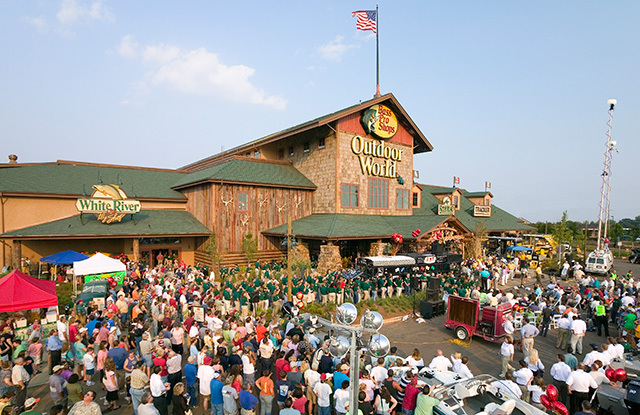 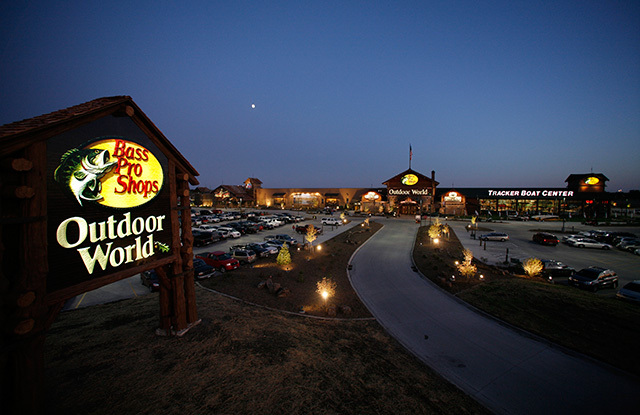 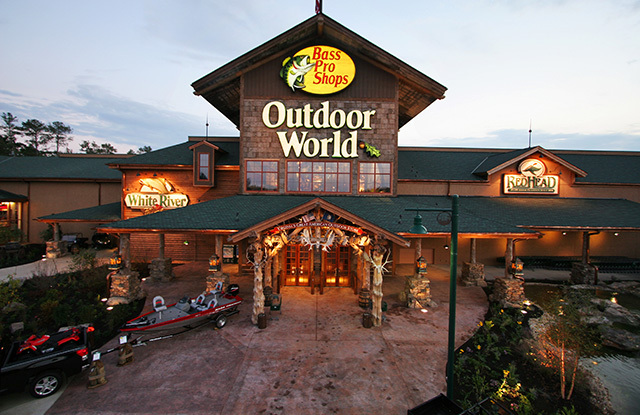 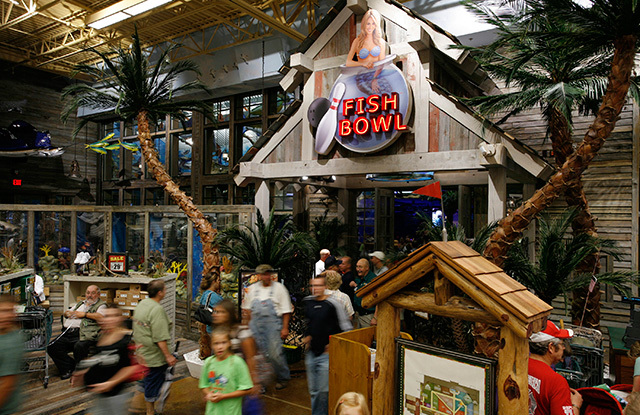 Bass Pro Shops - The Parkes Companies, Inc.
Parkes Construction has completed three Bass Pro Shops, ranging in size from 131,747 SF to 150,000 SF. 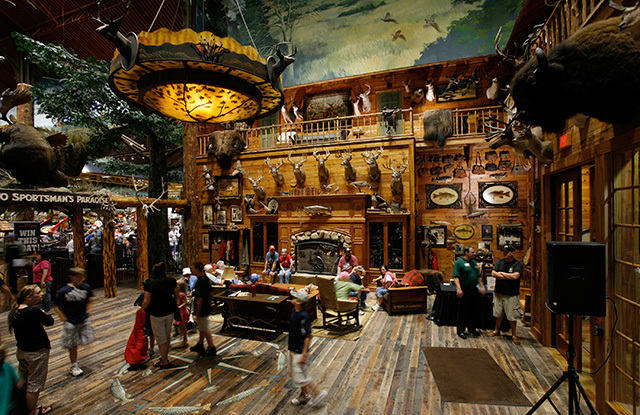 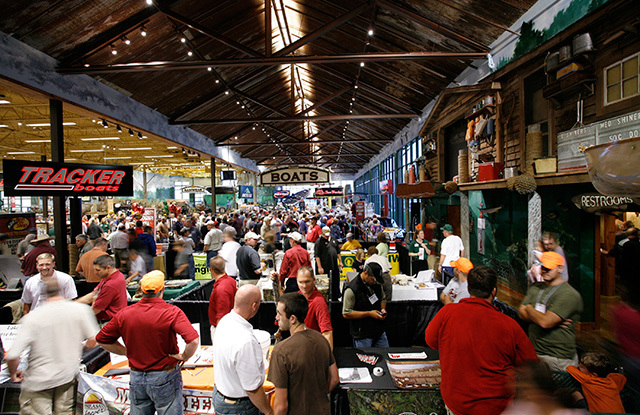 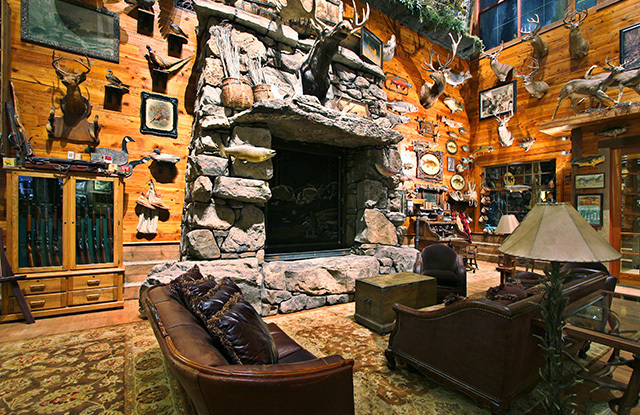 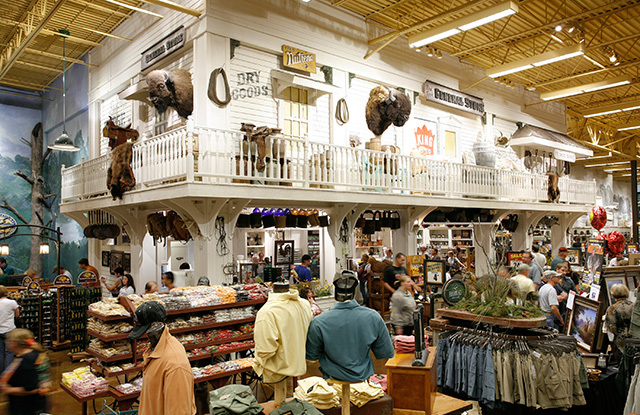 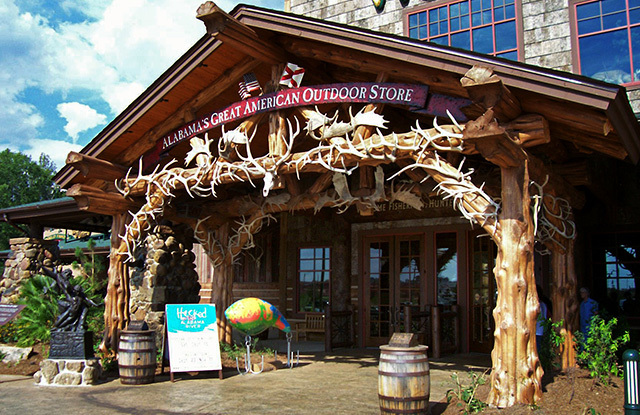 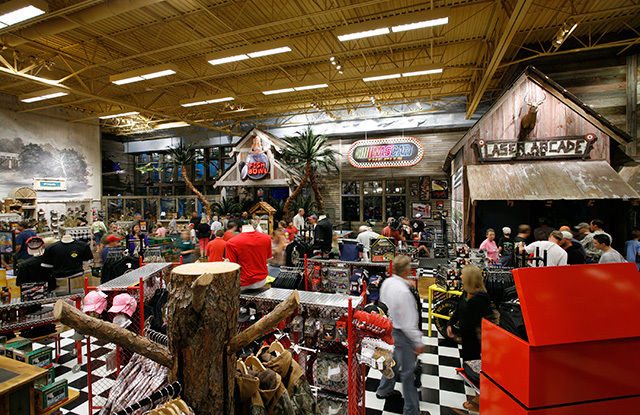 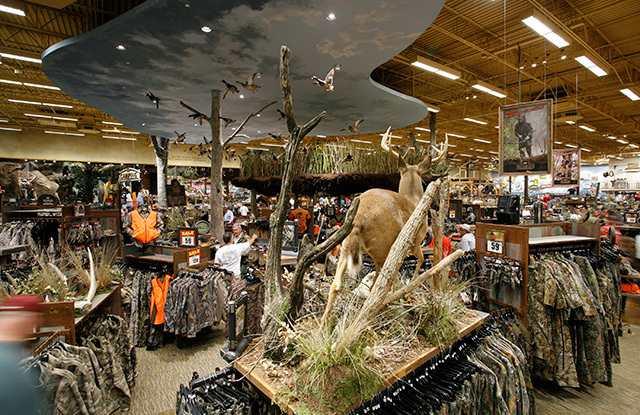 Each store takes on the flavor and atmosphere of the region in which it is located, and becomes a museum of the local hunting, fishing, camping, and other outdoor legacies. 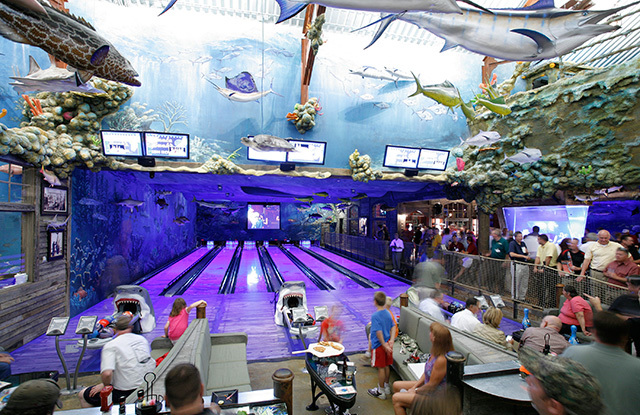 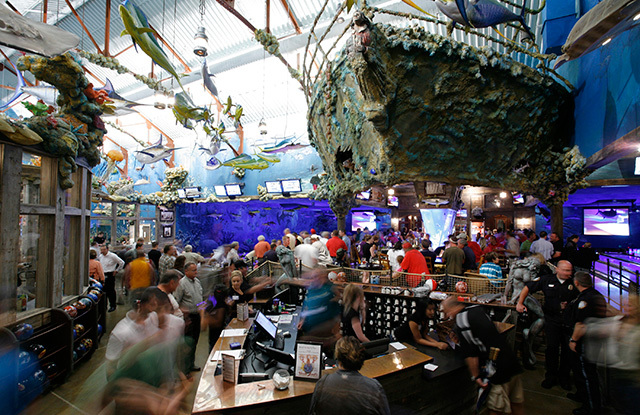 Specific amenities include a 15,000 SF nautical-themed restaurant with a 12-lane bowling alley, a state-of-the-art upscale Billiards room, NASCAR simulators, up to 30,000 gallon fresh water aquariums, and up to 11,500 SF saltwater aquariums, as well as archery and shooting ranges.